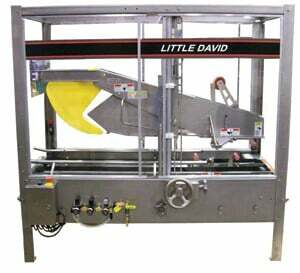 24 hours/365 days per year reliability are what you can expect from this Heavy Duty fully automatic top and bottom case sealer for applications involving large runs of boxes. Box adjustments can be made in less than one minute. 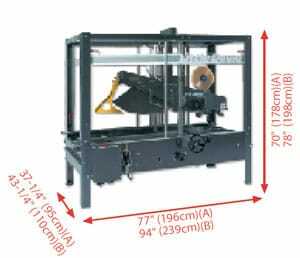 Plug -in operation, minimal operator training make this compact, 77″ length sealer, an assembly line workhorse. Options include bottom belt or side belt and stainless steel. Length: 8″ min. 24″ max. Width: 5″ min. 20″ max. Height: 4.5″ min. 20″ max.